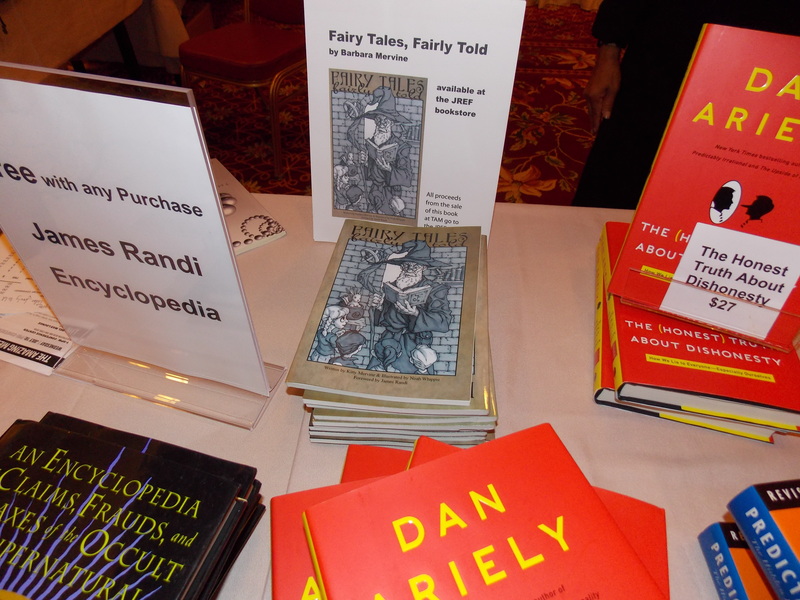 Skeptic fairy tales for children (and adults) for sale at TAM 2013. As usual all the money was donated to the JREF. The book sold out at TAM, but you can still order it at Amazon! Meanwhile, I enjoyed seeing Randi sign copies of the book for Noah and myself. Randi wrote the introduction, and his partner Deyvi also wrote an introduction! The stories are fun, my personal favorite is those cute otters that are mistaken for lake monsters. However, the atheist pig is very popular also (of the 3 little pigs, of course the atheist pig builds the house of bricks, he’s educated!) The illustrations by Noah Whippie are incredible, with a very wizardly Randi on the front cover! Consider helping fund skeptic education by purchasing a copy (or two). « Who Invented Little Grays? Hollywood or the Hills?